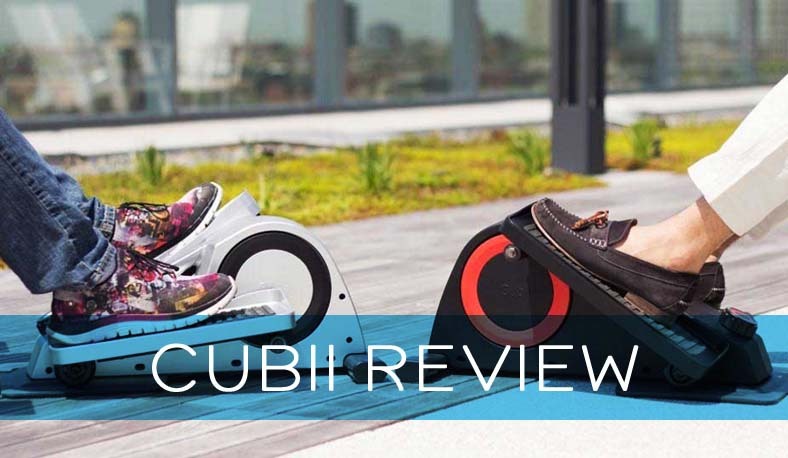 The Cubii Under Desk Elliptical is a fitness device that aims to reduce the burden that work and other duties have on a person’s ability to attend to their fitness. This device is compact, easy to use and perfect for burning some calories while sitting in the office or even while catching up on the latest Game of Thrones before going to bed. In this Cubii review, we’ll take a look at what this fitness device is all about and how it can help you. 1.6 Attractive And Durable – What More Could You Ask For? 4 Is Cubii Good For Weight Loss? 5 How do you use it? 6 Customer Reviews – Are They Happy? 8 Final Verdict – Is This The Device You’ve Been Waiting For? Several techniques can be used to obtain a higher level of physical fitness, but time is often the biggest enemy. With little time and a lot of work on hand, most people find that they have to spend too much time in the office and then get home only to continue working – making dinner, helping the kids with homework, getting them ready for bed. Even a nine-to-five job makes it difficult to attend to personal objectives and still hit the gym. This makes it difficult for the average person to ensure they gain enough exercise each day. With the Cubii Under Desk Elliptical, however, this problem is solved as the machine was built to be used alongside work – ensuring you can work out your brain and your body at the same time. Watching some television before going to bed or browsing through your Twitter timeline has become somewhat of a habit – this also means you are using the time that could have been spent catching up on your physical fitness. This machine makes it possible to do both at the same time – no need to go to the gym, sit on the couch, load up Facebook and start peddling. The machine was built in such a way to minimize the amount of noise that is emitted with each step taken. This is most certainly a big advantage as a lot of the competing devices tend to make screeching sounds that can be very unpleasant, especially when using the under-desk elliptical at the office. The manufacturer of the Cubii has ensured that they attend to the portability of the device as well. The device was made to fit in under a desk without taking up too much space, as well as to ensure it can be easily stored even when space is somewhat of an issue. The portability also provides a more flexible opportunity for using the elliptical in different locations at home and the office. The coolest feature that this device offers is most likely its smart features. 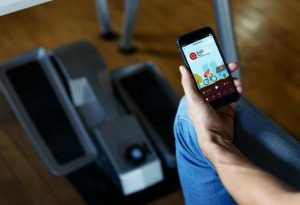 Not only does the under-desk elliptical allow you to exercise while you are at work, but it also gives you the ability to submit your data to your mobile phone, Fitbit and even to an Apple Watch. This gives you an opportunity to keep track of your progress and make appropriate adjustments. 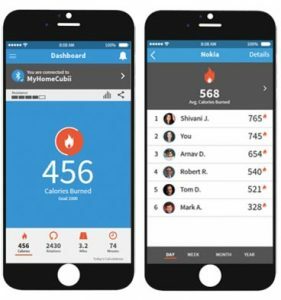 Additionally, the official app produced by the manufacturer of these devices gives you a chance to compete with other people using their under desk ellipticals, making this a fun way to stay fit. Attractive And Durable – What More Could You Ask For? Another benefit that we want to note is the fact that the Cubii Under Desk Elliptical has been made to be both durable and attractive. The overall design of this device is much better than many of the competing devices you’ll find available today. The manufacturer also utilizes only the best materials they are able to get their hands on – in turn, and this means that the device will last for a significantly longer time than competing devices that do not focus on the overall quality of the materials used in their designs. 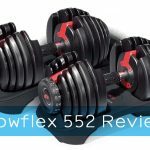 There are quite a large number of benefits that can be mentioned for this under desk elliptical, but, at the same time, if we look at the customer reviews on the product pages, then it becomes clear that certain drawbacks also need to be noted. The most important advantage offered by this device is the fact that it can fit into a busy schedule, as there is no need to take time off from work in order to exercise when using the Cubii Elliptical. The compact size makes it easy to store and keep under the desk, ensuring that the machine is always ready to be used. The fact that the brand decided to aim for only using top-quality materials to manufacture these devices means they will last longer and will also provide a smoother overall operation. Customers who are buying one of these elliptical machines from within the United States can enjoy free shipping on their orders. While the size of these devices is certainly compact, many customers have complaints about its weight. when buying one of these machines – the brand does not have an option that includes both of these convenient features in one single option. The original model of this brand’s under desk ellipticals was the Cubii Pro. This project was funded with Kickstarter and quickly became popular. After thousands of sales, the brand behind this machine started to introduce a new, more affordable version of the machine – the Cubii Jr. 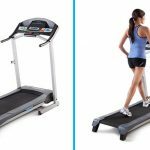 Both of these machines offer the same benefits when it comes to staying active while sitting at a desk, watching some TV or while sitting on the couch and reading a book. The only difference between these two models is the fact that the Cubii Pro does not have a built-in display, but rather submits your data to a smartphone application through Bluetooth. The Cubii Jr, on the other hand, does not come with a built-in Bluetooth feature, but rather provides instant feedback on a built-in display unit. Other than this, the only other difference is the price – the Cubii Jr is around $100 less than the Cubii Pro. Is Cubii Good For Weight Loss? Even though fitness trends come and go, physical activity has and will always be one of the essential parts of life. Physical fitness contributes to a great number of health advantages and helps to ward off disease. In reality, any type of physical activity is good for weight loss. The idea behind weight loss is to ensure you do not eat more calories than you burn – this habit should be followed every day and then weight loss would be possible. With enough time spent on this device, yes, weight loss may be possible. There are many customers who have mentioned previously that they were able to lose weight by using the Cubii Under Desk Elliptical on a daily basis at work and home. One concern that should be noted, however, is that this machine will target the leg muscles. While still physical activity, it is important that a person also attends to other muscle groups in their body by including additional exercises in their routine. Recommendations for daily physical activity also suggests both strength training and cardio, which means resistance training exercises, in addition to the use of this under desk elliptical, may yield the most benefits. The Cubii Under Desk Elliptical is very easy to use and to incorporate into your daily life. The machine can be placed underneath your desk at work, in front of the couch while you watch television, and at many other locations. It has a compact design, which means it is relatively easy to move around (some users have completed about a heavyweight, which would make it difficult to move the machine between home and work). Once set in place, you simply start to use the pedals to go into a “walking motion.” This can be done while you are busy with other tasks, such as playing games, browsing through social media, working, or reading a book. Customer Reviews – Are They Happy? These devices have been sold to thousands of customers, and there is a significant number of reviews to be found on the official listings of the machines on Amazon. This makes it relatively easy to determine whether these under-desk ellipticals are worth the money and actually offering real benefits to existing users. Most of the reviews that have been left by previous customers are positive. The Cubii Pro has a total of 342 customer reviews, with an average rating of 4.5 out of 5.0 stars. The Cubii Jr has an average rating of 4.5 out of 5.0, and a total of 135 customers have reviewed the machine thus far. The Cubii Under Desk Elliptical is available in two different models, each with its own price. Both of these devices can conveniently be purchased directly on Amazon, which makes it convenient as Amazon is the world’s largest and one of the most trusted online retailers. Both of these machines come with free shipping when they are purchased from their listings on the Amazon shopping portal. Note that the free shipping options only apply to local deliveries within the United States. Shipping may be limited when ordering the machine from a country other than the United States. Final Verdict – Is This The Device You’ve Been Waiting For? The Cubii Under Desk Elliptical offers a unique way for people who live busy lives to ensure they obtain some exercise every day. The machine is portable and compact enough to fit in perfectly under your desk, while still providing an efficient way for you to exercise, burn some calories and benefit from the numerous health advantages associated with physical fitness. 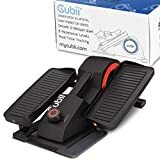 While this device will not focus on all muscle groups and offer all the benefits of physical exercise, it is most certainly a great way to keep your legs moving while working or watching television.